The phrase "long term care" refers to the help that people with chronic illnesses, disabilities or other conditions need on a daily basis over an extended period of time. The type of help needed can range from assistance with simple activities (such as bathing, dressing and eating) to skilled care that's provided by nurses, therapists or other professionals. What is your plan if you were to reach this point? 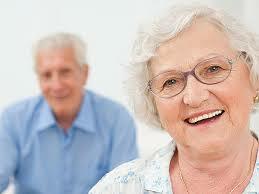 Long Term Care insurance no longer only covers care while in a facility. It is now more flexible to meet your needs. Contact us to learn more.